Happy Fourth of July! 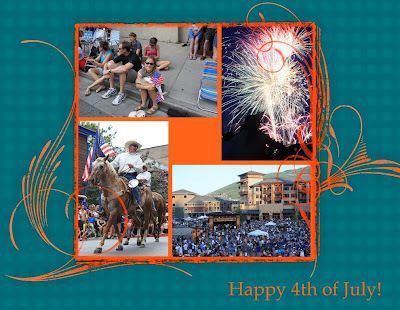 We spent American Independance Day in Park City, UT. Lots of celebrations going on; on the evening of the 3rd we went to The Canyons ski resort for an open air concert and huge fireworks display. On the 4th there was a town parade in the morning and we spent the afternoon in one of the other Park City ski resorts (they have 3!) - Deer Valley where we took the scenic chairlift to the top of the mountain, took a wee hike back down to the midway point and lounged out in the sun having a lovely indulgent picnic - Simply lovely - hey it almost felt like a holiday!! Swarm of Mozzies devour hapless campers!! Scuba diving in a Hot Spring!